Pulses like moong, masoor, chana etc. and some cereals like jowar, bajra, bulgur wheat are a source of iron to rely upon. Make them a part of your cooking while making rice delicacies and stand a chance to increase your haemoglobin levels. Explore a whole lot of pulaos, biryanis and khichdis in the form of Masoor Biryani, Jowar and Vegetable Khichdi, Fada ni Khichdi, Masoor Dal and Vegetable Khichdi etc. To enhance the iron content of the pulses further by 20 to 30%, sprout the pulses and use them to make these rice dishes. 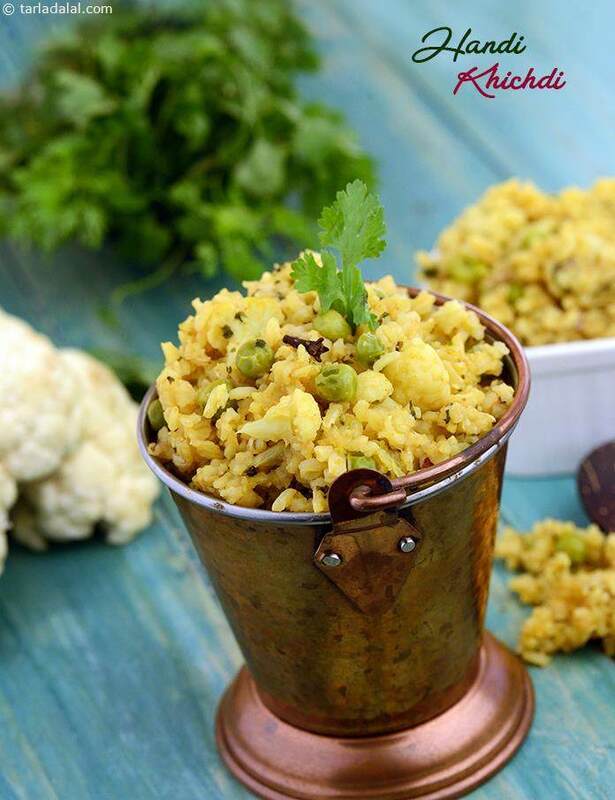 We have shared recipes like Mixed Sprouts and Vegetable Pulao and Sprouts and Methi Rice, but you can use your imaginations and add a handful of sprouts to any khichdi or pulao to boost its iron content. Most of the recipes in this section are one dish meals, so you need not spare any extra time to make other accompaniments.